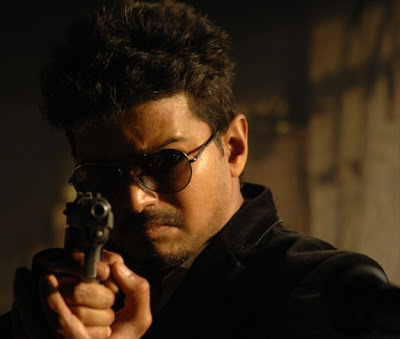 Actor Vijay's Film… Titled Changed! Praneetha, who is enjoying the success of her Karthi starred Saguni directed by newbie Shankar Dayal, is gearing up to romance Suriya in his forthcoming film Thuppariyum Anandhan. Ace director Gautham Menon will be wielding the megaphone for this period flick Thuppariyum Anandhan that showcases Suriya in 40′s look. Suriya will be playing the role as a romantic detective pairing opposite Praneetha in Thuppariyum Anandhan and the story is set in early 30′s. Thuppariyum Anandhan is likely to hit the floors in early 2013, as the duo director Gautham Menon and star actor Suriya are busy with commitments. Gautham Menon and Suriya are looking forward to bring back the fragrance of their Varanam Ayiram with Thuppariyum Anandhan. Chiyaan Vikram will have to spend a good amount of time in the gym to have a uber cool avatar in Shankar's next film I. The director has told the actor to build his physique for his character in the upcoming multilingual film. After completing the first schedule, Vikram will reportedly be taking a three-month break in order to build his body. He should have a strict and never-before fitness regime to get a beef up look. In the first half, his role demands him to be simple and lean personality. However, in the second phase, he will be seen flexing his muscles. It is also said that Vikram, who is known for having varieties of looks in his films, will have many getups in this film too. In fact, the actor's different avatars will be a treat for his fans. Meanwhile, Shankar has gone to China in hunt of locations and he will be back soon. I is expected to take off on July 15. Despite finalising his crew, Shankar is yet to finalise his female leads for the upcoming movie. After Samantha walked out of the film citing date issues, his men have tried to contact Amy Jackson, but the deal has not been struck. The forthcoming film is a romantic-thriller, which has AR Rahman's music, PC Sriram's cinematography, also features Santhanam, Malayalam actor Suresh Gopi, Ramkumar (Nadigar Thilakam Sivaji Ganesan's eldest son) and others. It is produced by Aascar Ravichandran. Ilayathalapathy Vijay's first production venture, Sattam Oru Iruttarai, has been renamed Thozhan. This film is the remake of a yesteryear hit flick directed by Vijay's dad SA Chandrsekar. Vijay is producing Thozhan under the banner JS Films. 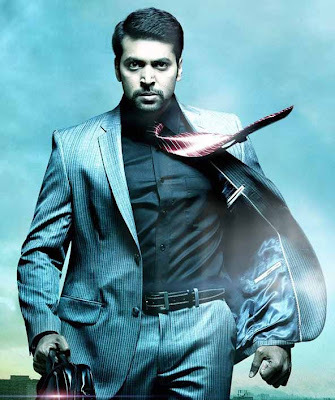 Earlier, it was announced that Vikram Prabhu will be playing the lead role in this film along with Karthiga. But now it is certain that Thaman, a new face, and Bindu Madhavi will be the lead pair. Reema Sen, Suresh and Pia Bajpai will be seen in important roles. Sneha Britto is directing this film under the guidance of director-producer SA Chandrasekar. The shooting of Thozhan is currently on at full swing at the OMR stretch in Chennai.